We are grateful for our student ambassadors! Student Ambassadors are a group of juniors and seniors dedicated to the positive promotion of McGehee. These girls work on a volunteer basis and serve as liaisons between the current McGehee community and prospective students and families. They are visible at numerous campus events and we depend on their good work! 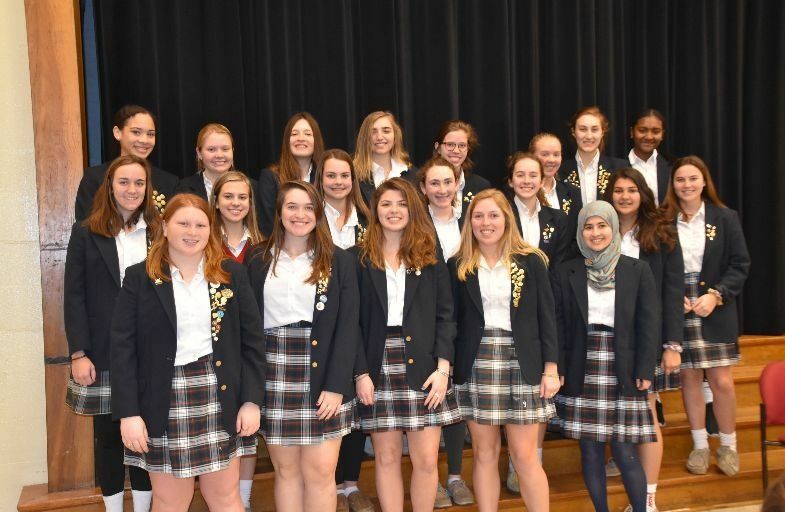 This year’s group received pins at this week’s assembly.